Made in the U.S.A.Fits all full size long w/base and extended vans. Basic storage system designed forevery budget. Shelves are adjustable on 2" centers. Heavy duty 16 guage steel shelves with double hemmed front lip 1.5" high and rear lip 3" high. Finished in off-white powder coating to reflect more light in your van and to provide years of durable service. Supplied with bulkhead partition and shelves as shown. 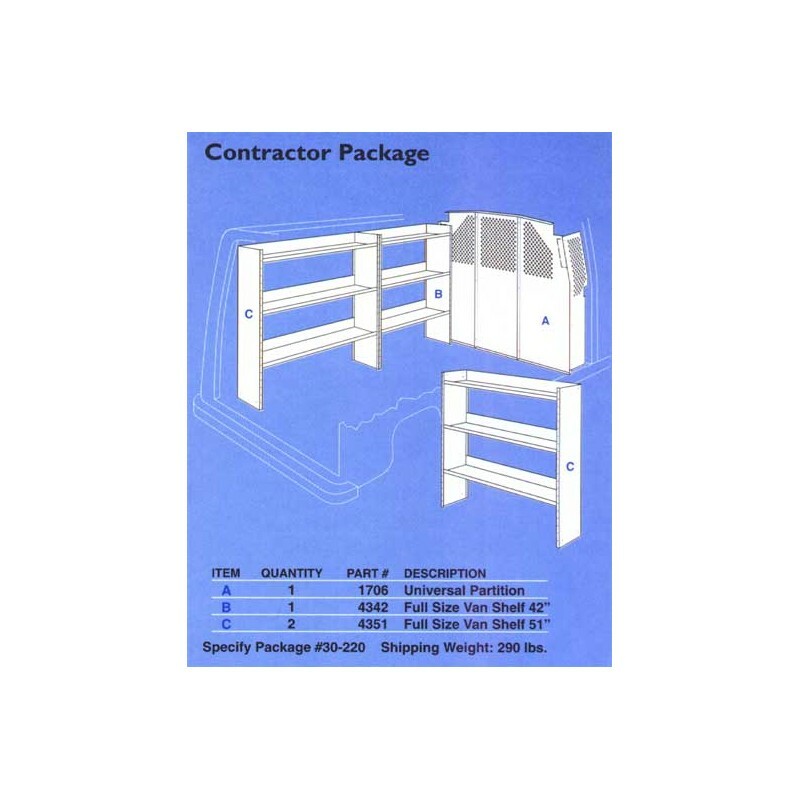 Includes all assembly and installation instructions and hardware. 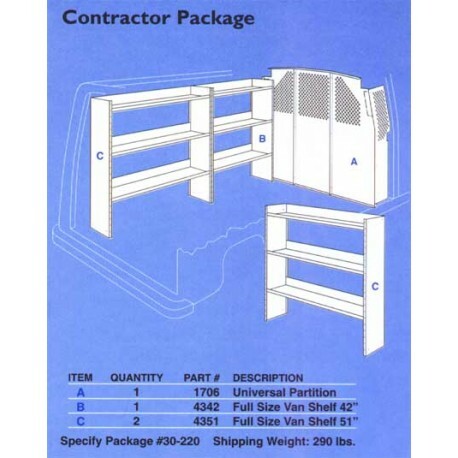 Floor space required: Driver = 93", Passenger = 51".We recommend measuring your van both at the floor and at the roof line to ensure proper fit for your vehicle.